· The assessment schedule is developed at the start of the year. Lower school students are to have the entire semester of assessments visible to parents and students. Year 11 and 12 are to have the entire year’s assessments visible. 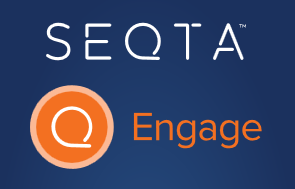 · Assessment titles in SEQTA include the weighting and clear labels that are succinct. · Task sheet/assessment description and marking guide/rubric are added at an appropriate time. · Marks for summative assessments are made visible within three weeks of the assessment being finalised. Marks are not released during term breaks because it is best for the teacher to be available to discuss the assessment with students at the time of marks being released. · If there is more than one class, all marks are made visible at the same time. · Exam marks are not released until the end of the exam period. · Formative assessments can be visible in the MarksBook with a weighting of zero, and do not generally have a specific teacher feedback comment. · Assessment feedback will be placed in the MarksBook on a regular basis. This provides ongoing information about progress throughout the year.